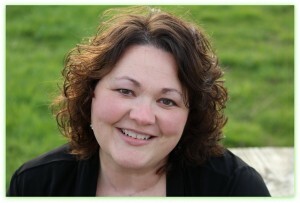 Today I'll be introducing Kathleen Fuller, author of The Calling. Welcome, Kathleen! In The Calling, the traveler is a young man convinced he’s called to preach to those heading west, rather than the settled east. It’s the tavern keeper’s daughter who catches a vision of who he really is. "I’ve always been fascinated with history, and in researching Unionville Tavern, I realized what a rich past it had. I chose the early 19th century [for The Calling], primarily because it marked the beginning of the expansion westward. Northeast Ohio and Western PA/NY were popular destinations for New England pioneers." 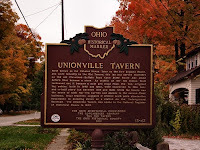 The tavern not only hosted a stagecoach, but it also served as a stop for the Underground Railroad during the Civil War. The hero of The Calling is a young man struggling with his destiny. Is he called to be a minister in his home town, or to the burgeoning populations of the then-far west? His father wants him home, but his heart yearns to the frontier and he regularly stops at the tavern on his way west--during basically "short term" mission projects. It's the tavern keeper's daughter who recognizes the desires of his heart even as she falls in love with him. For Kathleen, the spiritual theme of the story includes dealing with doubt. Her hero, like Jonah, questions not only himself, but also God. "My characters struggle with doubt, something I also struggle with. I also wonder if I’m following God’s lead in the choices I make in my life. I was able to confront some of those issues as I wrote this story." She laughed. "I was surprised how the theme is threaded through the story from beginning to end. I rarely know the theme of my books until I’ve finished them, and that was the same with this story. It’s always cool to see how everything comes together." All the novellas in A Pioneer Christmas Collection include Christmas celebrations. Kathleen recognized the celebration at that time period, however, was simple and family oriented, just like that of her own family. "The people who were stranded [at the tavern] on Christmas Eve came together as a family to celebrate Christ’s birth." As to the likelihood of Kathleen being a good pioneer during this time period? "I’d like to think so, but then again, I like my comfort zone. Being a pioneer takes a lot of courage and an adventurous spirit. I do enjoy traveling, so I think I would have been one of those people who went west once it got too crowded in the cities." 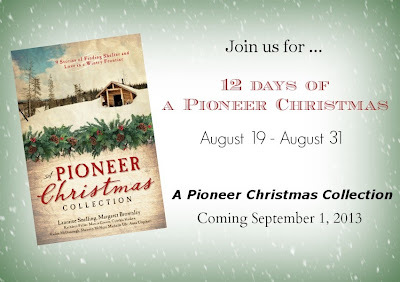 For more information about Kathleen Fuller, visit her website: www.kathleenfuller.com and her Pinterest page: http://pinterest.com/kathyfuller/a-pioneer-christmas/. Thank you again for stopping by, and don't forget to enter the giveaway for a free copy, signed by all nine authors! I love these novella's thank you for the chance to win this one.